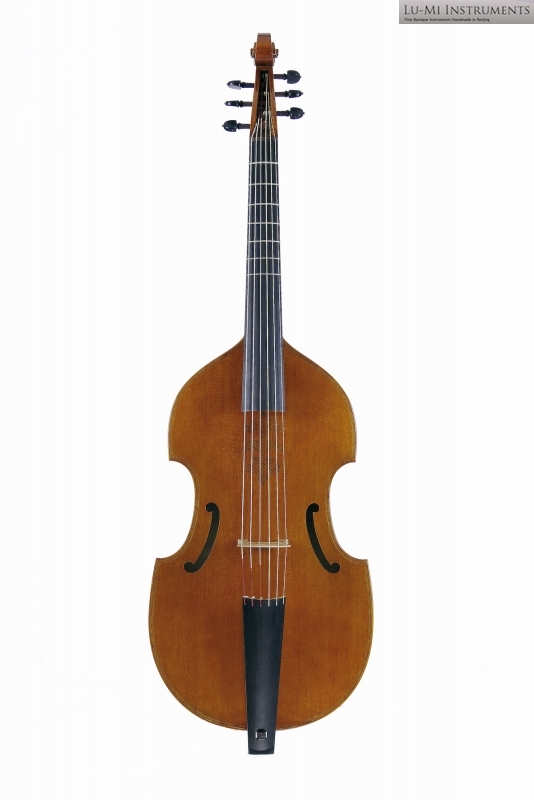 This especial model is scaled up from the Meares 6 string bass viol. 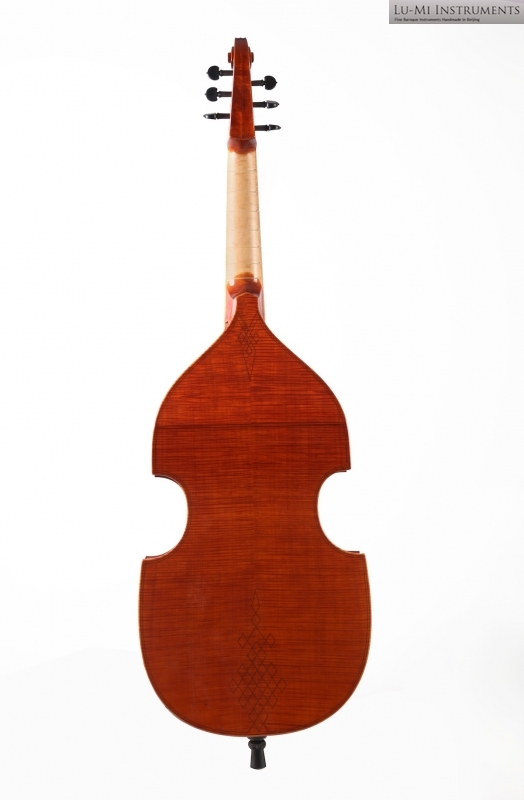 It could be used in all gut D tuning as a consort bass. 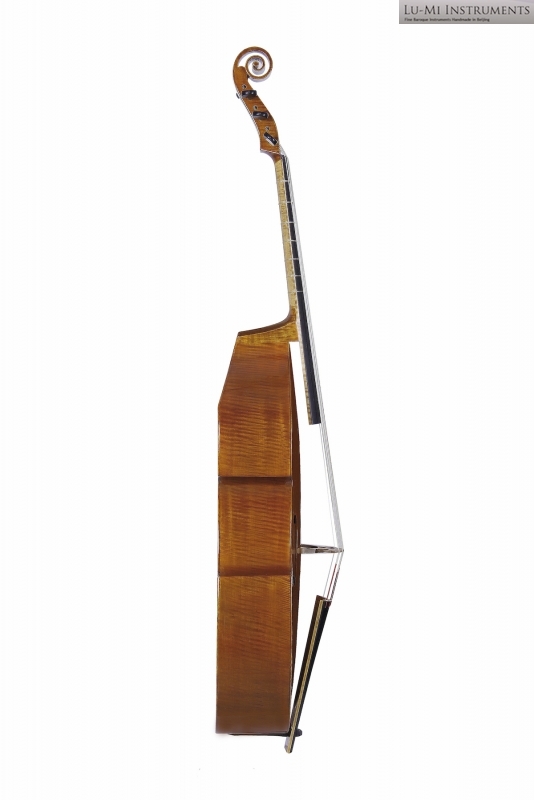 It is an ideal instrument for 8 ft bass lines. 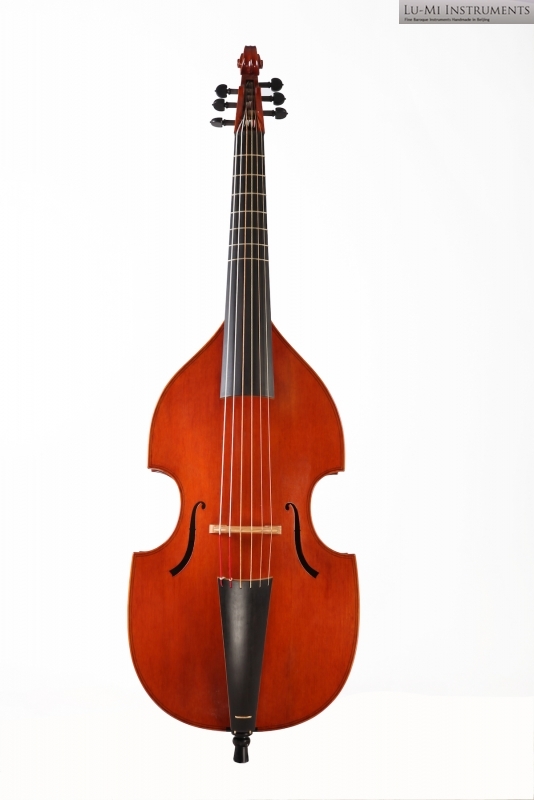 Gibbons wrote 14 pieces where you'll need a "dooble bass". 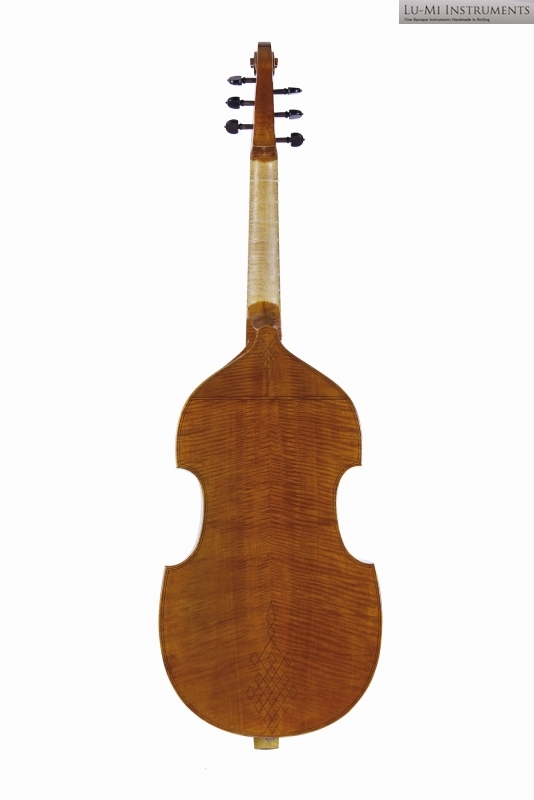 This is the instrument for those pieces. 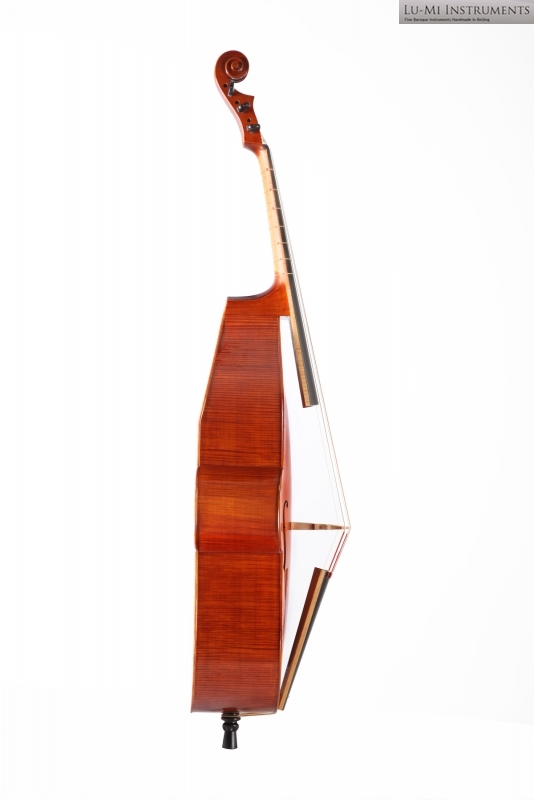 The model is ideal in G tuning. It fits well also for rapid passages, since the string is only 89 cm long. The corpus is too small to use the low D tuning.